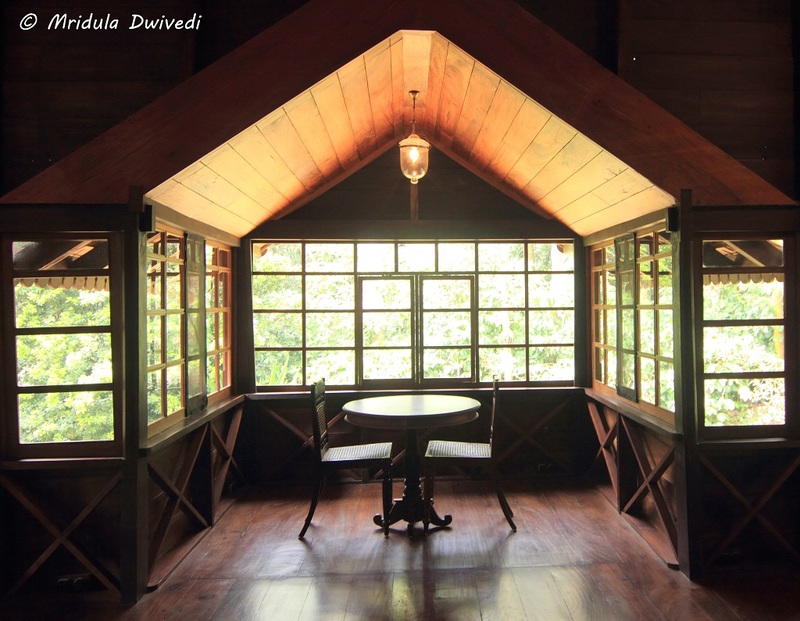 After staying in the Woodpecker Tree House at the Pepper Trail in Wayanad, Kerala, I was pretty sure that anything would be a step down after that. 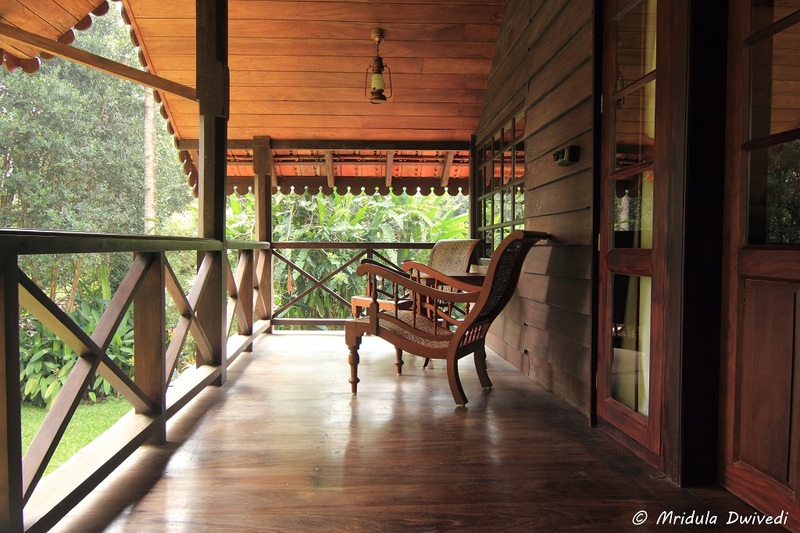 However when I move to the Mackenzie Suite at the Pepper Trail, Wayanad, it had a charm of its on. In the end I was unable to decide, what was more charming, the suite or the tree house! 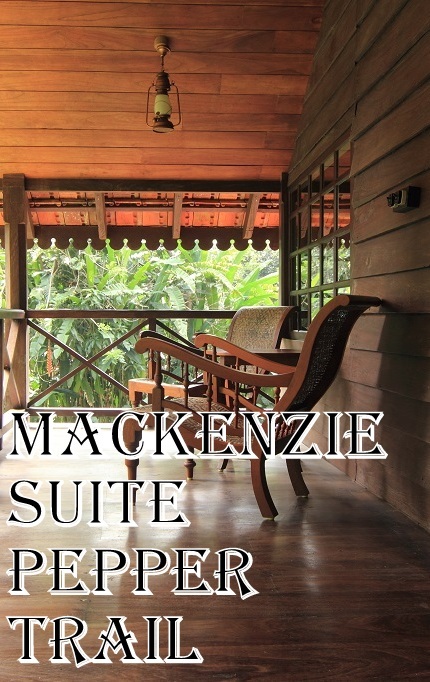 The Mackenzie Suite is located at the upper floor of the Old Bungalow. Narrow wooden staircases led me to my room. The living room was spacious, one corner had the tea maker, in the center was a lovely seating area by the window and in the left hand corner there were reclining chairs. 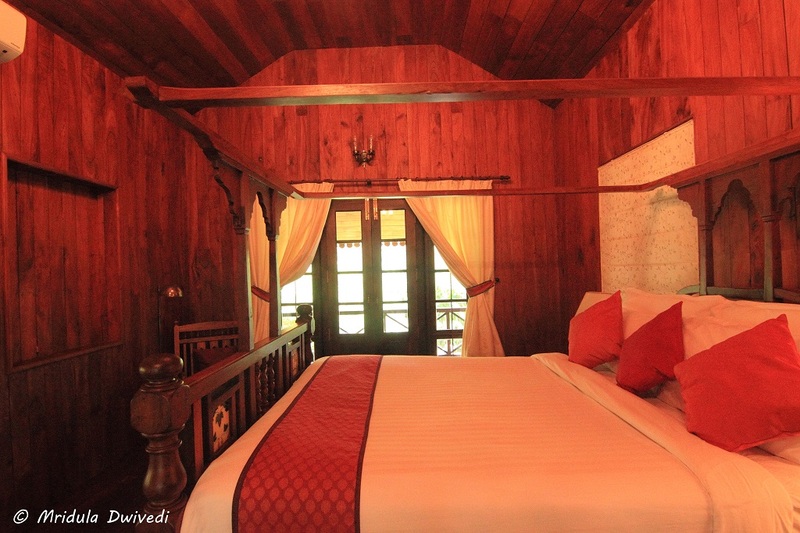 Next to the living room was the comfortable bedroom and beyond the bedroom there was a balcony with opened to the laws surrounding the Old Bungalow. The estate was founded by in the 1800s by Colin Auley Mackenzie, a pioneer in the area. 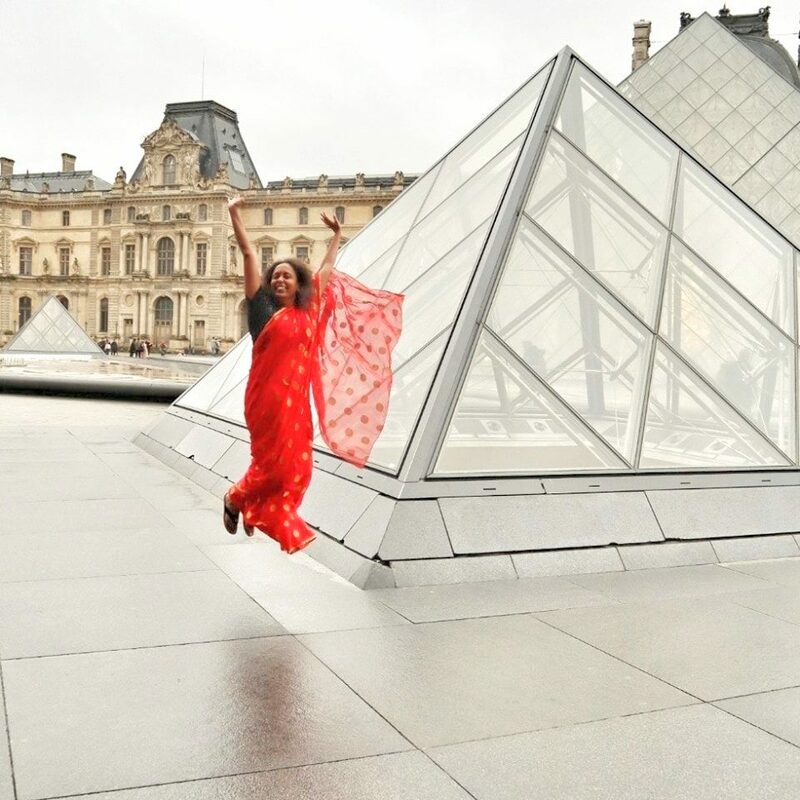 In 1932 it was bought over by P. Balaram Kurup and the third generation of the family is managing the place now. You will find Anand Jayan from the family often present at the estate. The wardrobe area and the bathroom area are conveniently located next to the each other. The bathroom has Kama Ayurveda products. And I had the comfortable suite all to myself. Sitting in the large wooden Bangalore I realized that at nigh,t the wood makes a creaking sound. A bird would go off near my room at night as well. The sounds that I can figure out what they are, do not bother me. The Mackenzie Suite had only those kind of sounds, so I had a good night sleep on both the nights. 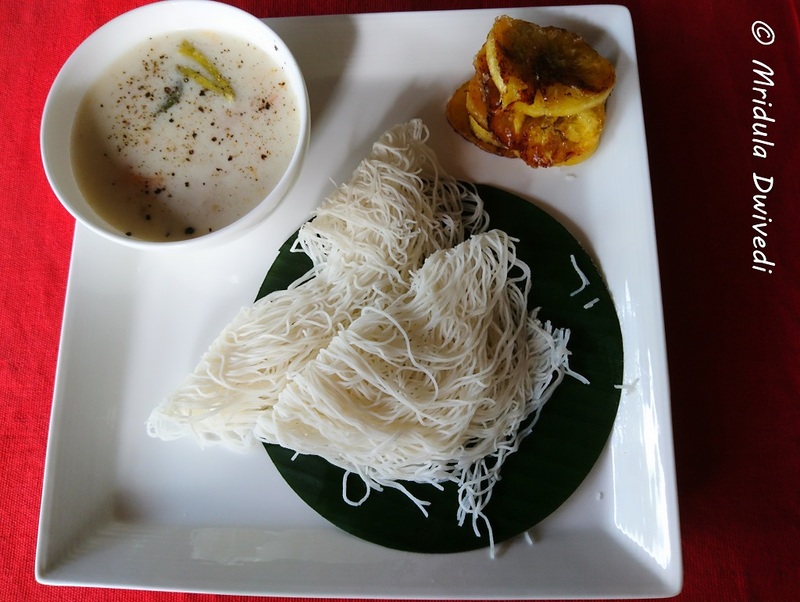 I quite enjoyed my breakfast of idiyappam, the food is freshly prepared at the Pepper Trail. I enjoyed the traditional South Indian food along with the desserts. A Beautiful Visitor, Paradise Flycatcher at the Pepper Trail! On my last day I was lucky to watch a paradise flycatcher from the restaurant which is main porch. It was my favorite place to hangout anyway. 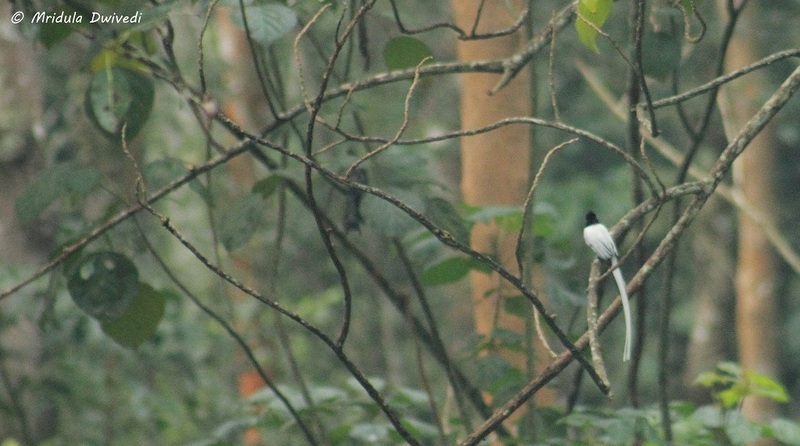 The paradise flycatcher was far away but this is my first picture of the bird. Earlier I had only caught a glimpse of the bird in the Madhya Pradesh jungles. 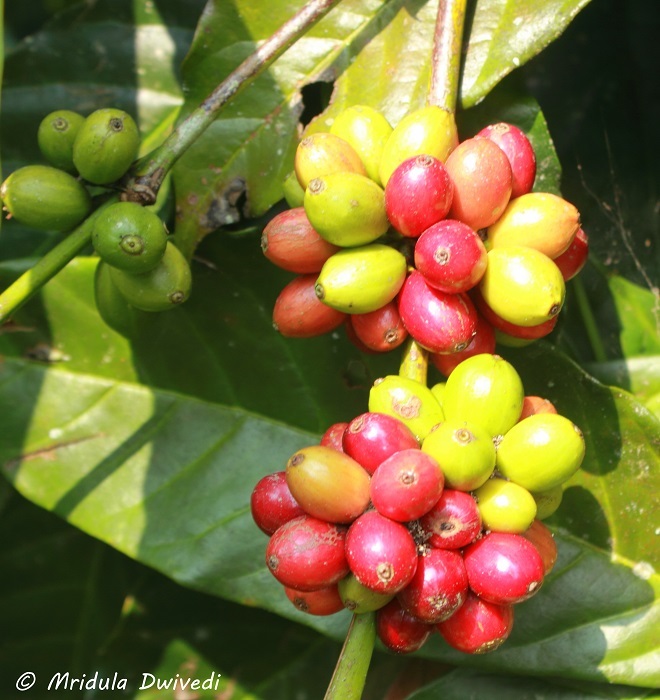 It was fun to roam around the plantation area surrounding the Pepper Trail Resort. 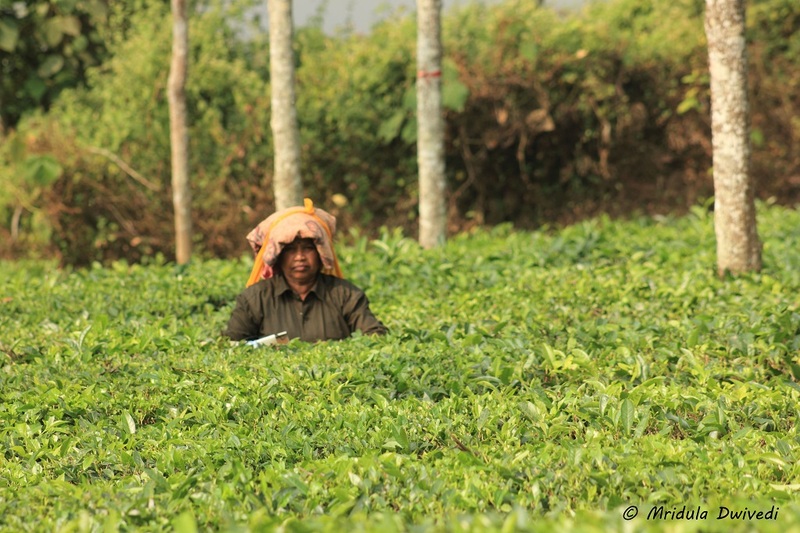 There are both tea and coffee plantations within the estate along with herbs and other plants. For those of us who live in large cities we can only dream of such air quality, peace and tranquility. PS. I was invited by Pepper Trail to stay with them at Wayanad, Kerala.